It doesn't take much to list your items and once you make a sale, BS's commission is just 3.5%. Secure marketplace catering to a large range of customers. Sell online with no upfront or recurring cost. Performance based system, you pay only if we sell. Manage your online store anytime, anywhere. You register, you list your products and start selling them online. Cost effective and scalable model . Service and technology support to help your business grow. Transparent Reporting and swift payouts. Once I become a Seller, how do I deal with the Buyer? Most of your interactions with the Buyer are through online emails and questions. You will need to make sure all your product information and stock is accurate and kept updated at all times. 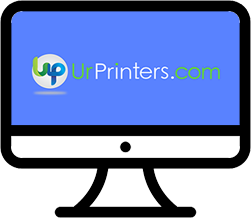 Through urprinter, your products will be reaching the online community of Buyers around the region. If the Buyer places an order, our easy Seller Panel will guide step by step right until your product is delivered to the Buyer. What kind of products can be sold? Once you register and set up your online store with us, follow the step by step guide to complete your profile. There are many types of products sold on urprinter including gadgets and tools, household items and appliances, baby and children toys, pet supplies, furniture and also clothing. The list goes on.. Other than that, there are also some products tend to fall under the prohibited items list. Kindly refer to the list for more information on products that cannot be sold on urprinter. What are the requirements to become a Seller? Do I need to have my personal website to be able to Sell? Does the customer know that I am the Seller of the product? Is selling on urprinter chargeable? Since we have a performance-based system, you only pay for the amount of sales that you make. Different items have different commissions, stated in our Commissions Structure. In urprinter, each cycle of payment is every 2-weeks (biweekly). Cycle A is 1st to 15th of every month and Cycle B is 16th to the end of each individual month. urprinter also requires an additional 5 working day processing time. You can manage your orders in through your ‘Manage Order’ tab in your Seller Page as well after you complete your registration. You will receive a notification when a buyer has made a purchase and you need to pack your product using urprinter packing material. From then on, every activity will be tracked and managed in your Seller page till the delivery of your product. You will be shipping your products to your customers after they have made purchase and payment online. We have engaged a reputable courier company to handle your products to be delivered to your customers. Also, we use a secure online payment system that is safe and protected. Can I cancel/withdraw my account? Yes. You can cancel and withdraw from urprinter at any time, as long as you have fulfilled all payments and any pending matters with us. Can customer review the seller? Whom do I approach in case of any query? Do I need GST (Goods and Service Tax) number to sell on urprinter? No, with urprinter a GST account is not mandatory. Our sellers are divided into 3 categories. Individual, Business and Company. Your documentation for registration is dependent of the category that you fall into.